The eleventh Volvo Ocean Race will start in October. 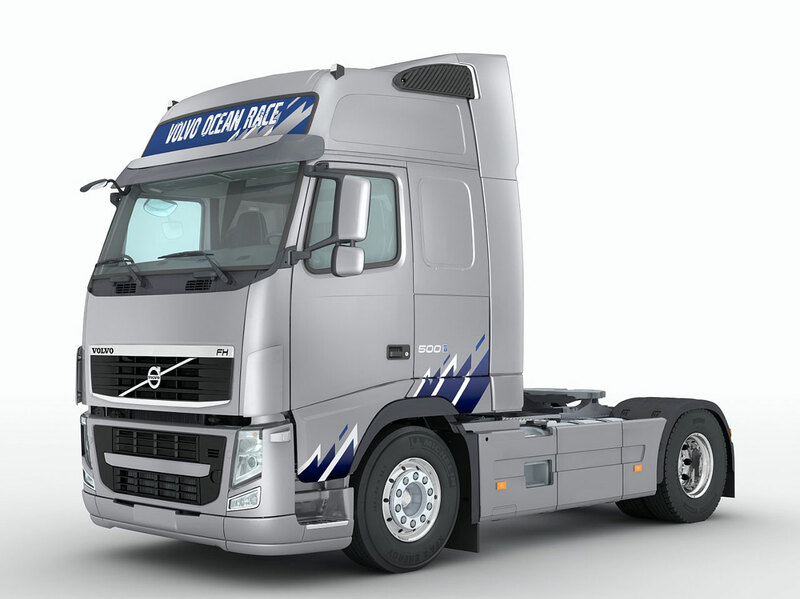 The race provided the inspiration for Volvo Trucks' "Volvo Ocean Race Limited Edition" – a limited edition of specially designed Volvo FH and Volvo FH16 trucks. The design team at Volvo Trucks has worked hard to give the latest versions the right feel both inside and out. The cab is available in two colours: white "Millennium Silver Metallic" and dark blue "Dark Knight Pearl". Both colours have been specially chosen for the Volvo Ocean Race Limited Edition, and so have the black painted grille, the side stripes with a wave decoration and the globetrotter sign displaying the words "Volvo Ocean Race". There are also "Limited Edition" emblems on the sides of the cab. The sailing-inspired interior features exclusive materials and details. With plenty of leather, exclusive seams and embroidered details, the driver area exudes quality and craftsmanship. The leather-covered seats are embellished with a blue accent colour, while other interior details such as the steering wheel, mats, door panels and grab rails have unique accent blue stitching. Curtain retainers made of sheet cord are an unexpected feature that heightens the overall effect. The Volvo Ocean Race Limited Edition will be available for order from June 20th, in European markets. The first of the limited edition trucks will be delivered in mid-September, a few weeks before the start of the 2011 Volvo Ocean Race. "We wanted the truck to evoke a feel of sail racing and reflect the sleek, refined design of the yachts in the Volvo Ocean Race. For this reason, the interior design features a lot of leather and dark materials with striking cobalt blue accent colors," stated Nicola Fox, senior designer at Volvo Trucks.